GALION — Galion and Crawford County have many events scheduled this week to honor veterans. You can start the day at American Legion Scarbrough Post 243, 118 S. Market St, is sponsoring a sausage and pancake breakfast from 6-10 a.m. Proceeds from the breakfast will go to a program called Gifts to Yanks. Since 1952, the program as raised funds to give Christmas gifts to hospitalized veterans. The public is invited. Also, this is a good time for members to pay their 2018 dues. Also on Saturday Post 243 is having a Veterans Day program at the monument in Galion’s Heise Park. It starts at a 11 a.m. The public is invited. Speakers will include Galion Mayor Tom O’Leary and Ret. Army Major Mike Mateer. On Saturday evening at Bucyrus High School, starting at 7 p.m., high school bands from across the county will perform a patriotic concert. Also, seven county veterans twill be inducted into the Crawford County Veterans Hall of Fame. They will join the 59 Veterans already inducted into the CCVHOF. Brief bios of the inductees appear in today’s Galion Inquirer on Page 4. The Galion City Schools will take time Thursday to honor America’s heroes. Veterans Day is Saturday. The Primary and Intermediate school students, along with the Middle School, are planning separate activities to show respect for veterans. 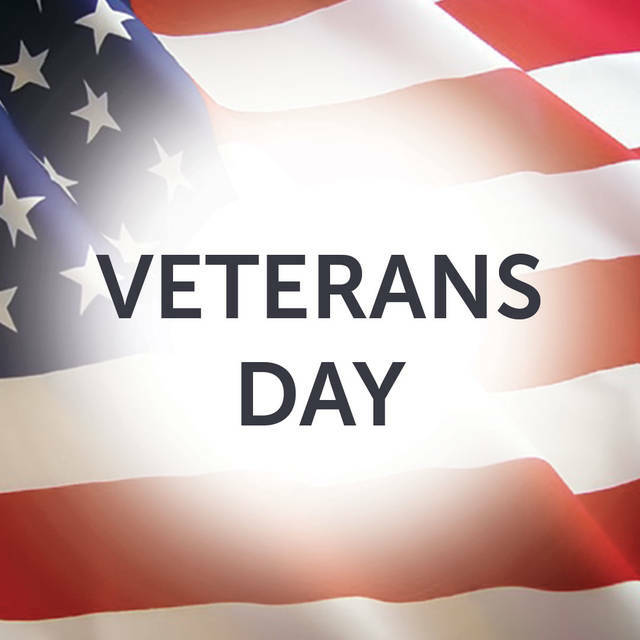 The Primary and Intermediate Schools will be honor veterans by dressing in red, white and blue on Thursday. Students from the two schools will gather around the flag pole at the Intermediate School to recite the Pledge of Allegiance and sing The Star-Spangled Banner. Primary school students also will place red, white and blue stars along the wall outside the building’s office. These stars will represent family and friends of primary school students who have served the nation. Students at Galion Middle School will start their day by having breakfast with an active member of the Armed Forces or a veteran. Students who bring a guest to breakfast will then have the opportunity to introduce them during a special assembly. Following the assembly, all middle school students will write thank you letters to active duty service members and veterans. The letters will be delivered to the Galion American Legion and VFW posts, where the letters to veterans will be read and those letters intended for active duty service members will be forwarded to the appropriate locations. For more information about the district’s Veteran’s Day activities, please contact Middle School Principal Joe Morabito at 419-468-3134 or Intermediate School Principal Alex Sharick at 419-562-3676.